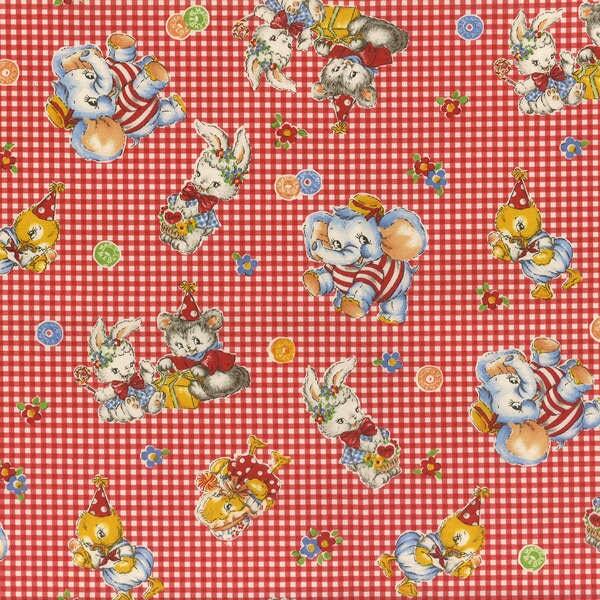 Merry Bon Bon Red Tossed Elephants cotton fabric by Lecien of Japan. Merry Bon Bon red tossed elephants 100% cotton fabric by Lecien of Japan. Retro style fabric featuring fun and playful elephants. A perfect fabric for a special baby nursery and baby quilt. All fabric at The Quilted Nursery Fabric Store is cut directly from the bolt and is sold by the yard.